The B Project is delivering some exciting events for the Word2013 Festival in Islington during May. Monday 20-Friday 24 May: Follow the ‘B Voices’ photography exhibition as it tours the borough. 4.30-7pm everyday in a different location – Business Design Centre, Islington Green, Islington Town Hall, Central Library and Highbury Fields. Created by the B Photography project with Marysa Dowling. Tuesday 21 May, 6.30-8pm at Platform Youth Hub: Express Yourself – join us for a panel event with young people discussing and performing their own writing with authors Sarah Mussi and Sara Grant. 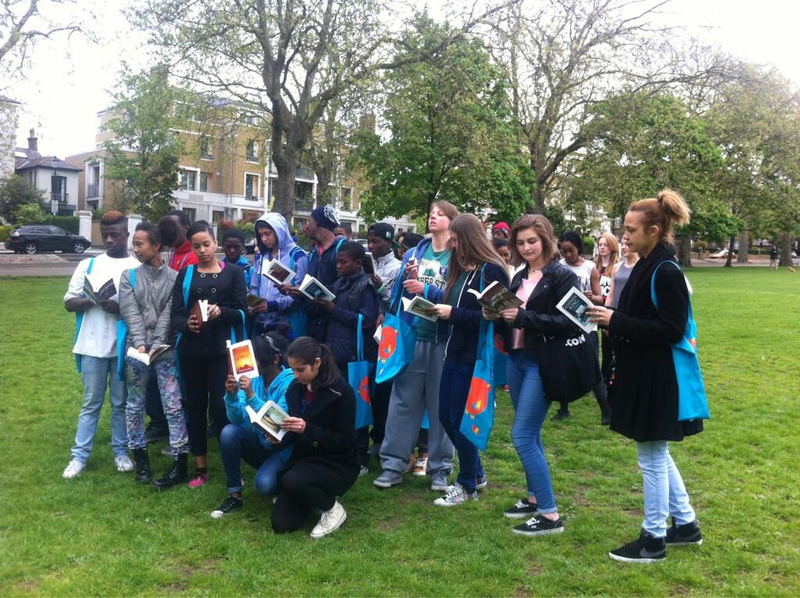 This event marks the final part of ‘Write Ideas’ an author led writing project for young people with Hot Key Books, the Edge Writers group and Islington Libraries. The B Project has also delivered an intergenerational poetry and knitting event ‘Spinning Yarns’ on 11 May and taken part in the Word2013 Read In Flashmob on 18 May.